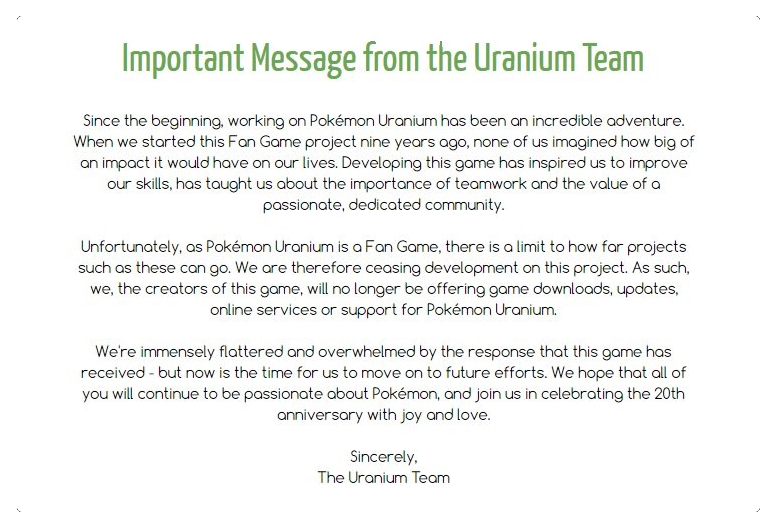 Last week, the team working on Pokemon Uranium stated on Twitter that they would no longer provide updates or support for the game. Pokemon Uranium has been mentioned in passing a few times on our site, once in our AM2R article and also in our No DMCA’s Sky article. Pokemon Uranium was developed over a nine year period, and was an unlicensed, fan-made game. The creators took the familiar gameplay and added 150 new, original Pokemon and a new “nuclear” type. The game was taken down just days after its release, and only weeks after AM2R’s takedown. The game was downloaded over 1.5 million times during its first week, after which the creators were forced to take down all official download links. 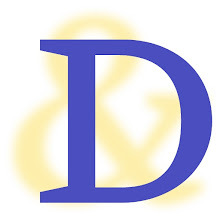 At the time of takedown, the creative team behind Uranium hoped to support the game through some sort of updates, but this no longer seems to be possible. The team has not explicitly mentioned Nintendo in their decision to stop supporting the game, but it is not hard to imagine the kind of legal pressure the team may be under right now. It really is a shame to see such a great fan project shut down. 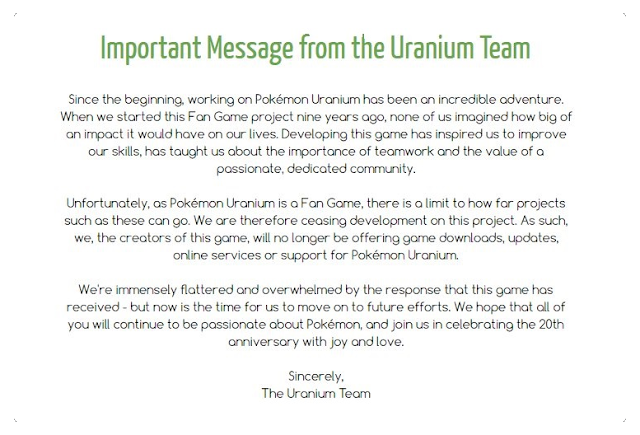 The Pokemon Uranium team created a game that arguably rivaled one of Nintendo’s own in quality, while infusing a brand new twist to the franchise.The Uranium team gained quite a following, and may be able to add the project to their resumes, or potentially use their experience in a brand new project. The game may no longer be officially supported, but online play is still possible, and download links can be found if one knows where to look. Just be aware that the developers have warned users, "We have no connection to fans who re-upload the game files to their own hosts, and we cannot verify that those download links are all legitimate. We advise you to be extremely cautious about downloading the game from unofficial sources."